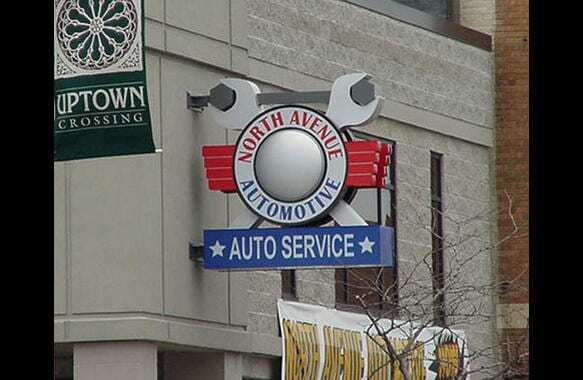 North Avenue Automotive Repair wanted a unique sign that would stand out in a busy and crowded metropolitan area. A flat wall sign would not reach the audience on North Avenue so a flag-mounted sign was chosen. The double sided, dimensional sign featured individually lit graphic elements to enhance the effect and impact of the design in the evening.